This document described AirVantage Application Model. This document explains how to write an application model used to declare the capabilities of an application to AirVantage. In order to use an application in AirVantage, an application package must be generated and deployed on the Cloud. An application is a package (a simple zip file) which contains an application model (the Contract) and binaries for remote update (full binary, delta and/or reverse delta). You can find sample in the last section . An application package is the set of resources required to declare an application and upgrade it for a given version. The application model file can reference other files to describe the capabilities to simplify human reading using the directive “include”. This document explains how to write this file. Zero or multiple binary files with the software images associated with this application. Want know more about application management ? See Application Management User Guide . What is an application model? You can refer to AirVantage user guide to learn more about what an Application means in AirVantage and how it is used: The embedded Application model . the protocol to use with the configuration (security). See Communication section protocols for a description. the data and commands supported by the device application. See next section for more information. what manages this application. See section Application manager for a description. the binaries to use to upgrade from an older version to this version. See section Binaries for a description. Define the capabilities supported by the application. That means how the application can communicate, the data, event and commands the application handle with, the device management action allowed. More information about this section here . Define the software images as binary files to be used to update the application. Define the application manager in charge of the life cycle of this application. The name and type must be unique in AirVantage. The Revision must be strictly consistent with the revision number declared in the dwl. Type must be unique in AirVantage. There is a single type for each module application so it should have to be the customer short name with the application short name like SWIR_OpenAT. Don’t hesitate to add your company name for software application. Name: it should be clearer to be application name like Open AT Framework. The name is just used to be displayed on the UI. Revision: this field must be filled with the application version. For Sierra Wireless, it must be consistent with what the FW sent to AirVantage. For Open AT module, you can check with the ati9 command: . (For example: R1.2.0.2014XXXXX). Define the capabilities supported by the application. Data: used to define the tree of data that can be exchange between the device and the server. More information about this section here . Encoding: used to specify the encoding of all its child nodes. Most of the time, a tree can only be exchanged using one protocol: the element encoding is used to define this protocol. A node which contains other elements below. A setting which allows to configure the device from the server. A variable which contains a data value sent by the device to the server (the server can not modify it). A command to be executed on the device side. Communication: capabilities of the application. Includes a list of protocols supported by the application. For each protocol, you can define parameters useful to configure the way the protocol is integrated in the application. MQTT: Default protocol to be used to send your business data on AirVantage. REST: Protocol to be used to send your business data on AirVantage if you don’t care about bandwidth consumption or you want to create a quick Proof of Concept. 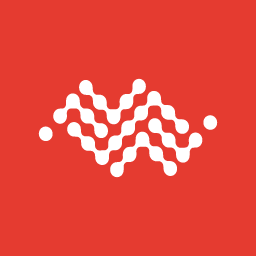 M3DA (deprecated): used by the AirVantage Agent based on Open source project Mihini - http://www.eclipse.org/mihini/ and ALEOS Application framework. AWTDA (deprecated): used by user defined applications using the AirVantage Agent on Sierra Wireless Open AT AirPrime modules, AirLink programmable modems. Can be FULL or DELTA. Define if the binary go back to a previous version or to a next version. Specify the revision. If reverse is false, the revision defines the source version where the binary can be applied. if reverse is true, the revision defines the final version. In case your application is using AirVantage Agent (deprecated) or Legato, you have to define the application manager in charge of the life cycle of this application: install, upgrade, start, stop, uninstall. sms-binary must always be at false. AUTHENTICATION_TYPE = hmac-md5 or hmac-sha1 or none (if you select none for authentication, you must select none for encryption). ENCRYPTION_TYPE = aes-cbc-128 or aes-cbc-256 or aes-ctr-128 or aes-ctr-256 or none.